Form follows function is a solid principle for all industrial design. However, what if we reverse the process and let the function follow what forms have to offer? 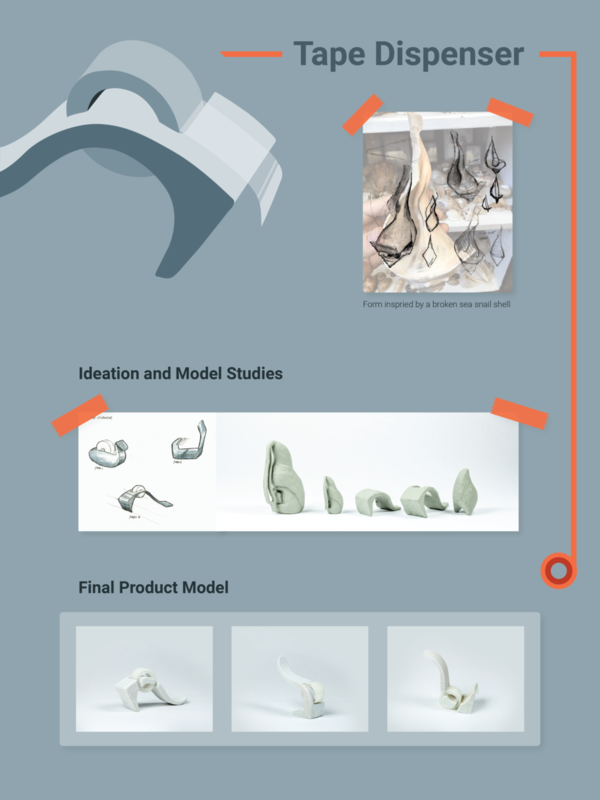 For this prototyping project, I chose three objects from RISD Nature Lab and extracted forms from them. These forms were turned into three products— a tape dispenser, a home speaker, and a flash light.